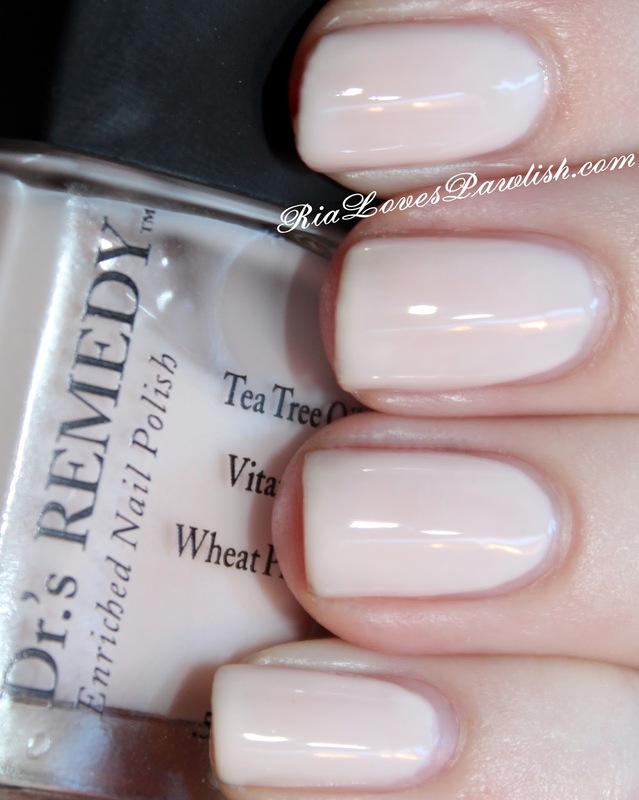 today i have Dr.'s Remedy Loyal Linen to share! (it's a press sample, kindly provided to me for review). Loyal Linen is a sheer cream colored polish with a creme finish... so, a cream creme! it has very beige undertones as opposed to the usual pink, which is a nice alternative for a French manicure... i did a traditional French tip with this color, but i don't have pictures because i'm still getting used to the paper reinforcer method and had a little smearing :) Loyal Linen is pretty sheer, but i built it up to a nice level of opacity in three coats. i also liked it at two, but decided to add one more just to be able to see more of the color! i would definitely go with at least two coats because coat one was just a bit streaky. this swatch is without any topcoat... it's so shiny all by itself! i would probably go ahead and add a topcoat if this wasn't just for a swatch to improve longevity... i wanted to leave it since i was going to to be adding Dr.'s Remedy Modest Matte Topcoat after taking these pictures! one coat Dr.'s Remedy Basic Basecoat, three coats Loyal Linen.